For General Admission tickets and Super Pass opportunities, visit Event links below. For Rider, Race Team and Industry tickets and credentials, visit the CREDENTIAL PROGRAM. Extra Vehicle Pass (Thu-Sun): One per vehicle required. Pick up pass @ Will Call/Rider Services, located off Hwy 47. Available for purchase online or at event. Pick up pass @ Amateur Race Office next to Pro Pit Entrance. Alcohol is PROHIBITED in the Pro Pits. Pets are PROHIBITED in the Pro Pits. Children must be accompanied by an adult pass-holder. You may not access the infield or racetrack at any time. There will be scheduled autograph sessions at various team rigs. Autographs are only available as scheduled. Autographs are not guaranteed. A Pit Pass does not guarantee that you will obtain a pro autograph. Removing or taking an item from a team rig or pit area without permission is illegal and you will be prosecuted. VIP Super Ticket, Holeshot Club and Racer X Pit Pass holders must pick up their credentials at Will Call/Rider Services, located off Hwy 47. Will Call hours: Friday (9 am – 5 pm) and Saturday (7 am – 2 pm). Here are some frequently asked questions regarding ticketing. For more information on the Ironman National, please call our offices at (304) 284-0084. Can I purchase tickets at the event? Yes, you can always buy General Admission tickets at the gate. 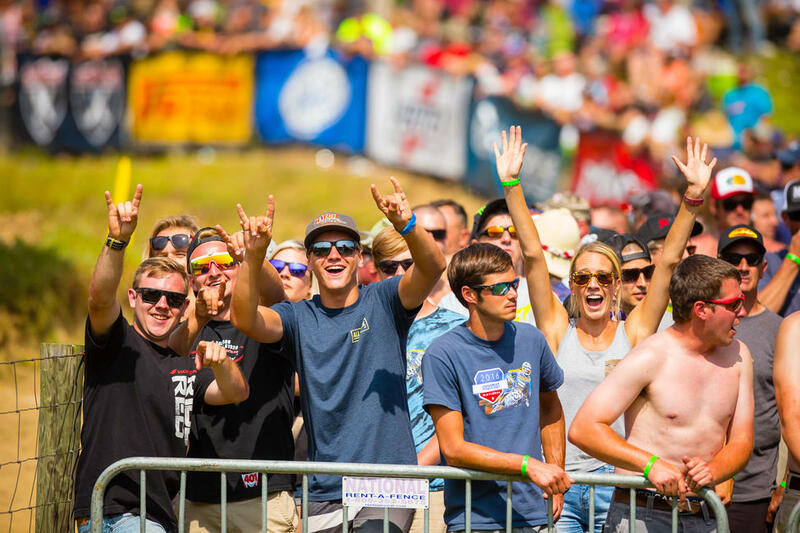 VIP Super Tickets, Holeshot Club and Racer X All Day Pit Passes are limited and generally sell out in advance. Yes. On Saturday there is $10 Fan Parking fee per vehicle. What age are the child tickets? Kids tickets are for ages 6-11. Do the little ones get in free? Yes, children age 5 and under get in free. I am wondering what Holeshot Club tickets get me? What does it all include? Other than the VIP Super Ticket, the Holeshot Club is the best ticket available! 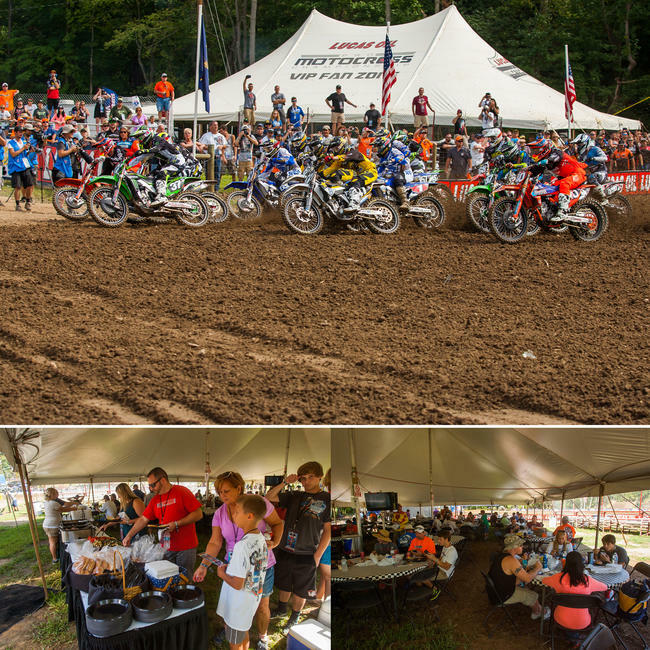 The Holeshot Club has a reduced price and increased value, including admission Thursday-Sunday, private viewing area right next to the Holeshot Line, plus Pro Pit access all weekend, including all day Saturday 9am-5pm. I just purchased 2 Adult and 2 Child Super Tickets. The tickets I printed are all in my name, does that matter? Should I edit the tickets and type in the contact info and re-print for all attendees? No. You do not need to change any information on the tickets. All of your tickets will work at the gate and guests do not need to be together to enter. All guests must sign a release form before entering. Where can I purchase a Pit Pass? There are two types of Pit Passes available to you: the Racer X All Day Pit Pass and the Early Entry Pit Pass. You can purchase Racer X Pit Passes online in advance, as they generally sell out. Early Entry pit passes are sold online in advance, as well as on-site at the event. Racer X Pit Passes are good for all day Pro Pit access, while Early Entry Pit Passes are only valid on Saturday from 9am until noon. There is limited availability on both types of Pit Passes and they may sell out. Will the Racer X Pit Pass get me into the event? Yes. You must redeem your Racer X Pit Pass at Will Call. You will receive a wristband that is good for gate admission and pro pit access from 9am-5pm. Will the Early Entry Pit Pass get me into the event? No. You must purchase a General Admission ticket online or at the event for the day you arrive. I purchased multiple Racer X Pit Passes online. Can I pick them up for family or friends if they’re not with me at the booth? No. Everyone using a Racer X Pit Pass must be present at Will Call in order to obtain his or her own wristband. A staff member will put on each person’s wristband after a release form has been signed (if the recipient is under 18, Minor Release Form will have to be filled out by an adult). Are we allowed to bring an ice cooler with food and drinks? Yes. You are allowed to bring in a cooler and you may bring in alcohol. However, NO GLASS BOTTLES ALLOWED. NO ALCOHOL ALLOWED IN THE PRO PITS. Can we bring chairs? Can we set up a tent or EZ up? Yes, you can bring chairs. You can bring a tent but there will be a designated area for tents or EZ-ups as they impede viewing for other fans. We do not allow tents or EZ-ups within 40' of the track fence in order to keep an open view of the track for fans. Can my dog come to the races? Dogs are allowed National weekend at the track with CAMPING FANS ONLY. Dogs must stay on a leash Friday and Sunday, but must stay at your CAMPER ON SATURDAY. For safety reasons, we do not allow dogs in the pro paddock, Sponsor Village or in fan viewing areas on pro race day Saturday. My printer broke. Can I use my smart phone to get in? Yes, but we urge fans to always print out their tickets and bring them to the event. Your phone may not work depending on cellular reception, so always be safe and print ahead of time. Handicap or Special Needs requests can be directed to [email protected]. ©1999 - 2019 MX Sports Pro Racing, Inc. All Rights Reserved.